FCA Packaging has built a reputation for providing a wide range of industrial packaging solutions. At our manufacturing plant in Coal Valley, we build and design custom shipping products designed and manufactured from wood, steel, corrugated, or any other material. Our products are designed to always safeguard your items in a cost effective option. With plants located all over the United States, we also provide products to many of the leading OEMs in major industries across the country. FCA Packaging provides a complete spectrum of packaging products and services from design, development and manufacture of packaging for OEM equipment, to the management of returnable packaging in the supply chain. Each year we are responsible for the safe shipment billions of dollars’ worth of products. Many businesses come to us for wood pallets because they need more than just standard products – they need custom products to fit their specific, critical product needs. Our custom pallets are made of hardwood and designed to withstand the weight of your product no matter its weight or size. This ensures that your product isn’t damaged during shipment or storage. Often a damaged pallet can cause a chain reaction and damage surrounding products due to items shifting. For some products, a pallet isn’t the right option. It may be that your product is of an unusual dimension or weight and require something different such as a skid or a custom crate. Our engineers will review your product and create something that will keep your item protected always, whether it’s being shipped across country or overseas. All our items are fully tested to ensure they meet all your requirements. We even offer onsite crating services in the Coal Valley area for products that can’t be transported. This is one of the advantages of FCA Packaging having so many locations. We can meet the needs of our customer quickly and if necessary complete the work at their facility, whether it be for custom shipping products or OEM packaging products. Our shipping products are designed to meet regional, national or international testing standards and shipping requirements. They are ISPM 15 Compliant and can be shipped internationally without heat-treat stamps. Our engineers are experts in gathering the appropriate data and can advise you on what type of product works best for you. They’ll design something based on your products dimensions and weights and then fully test it before delivering it to your business. Our customers not only appreciate the exacting steps we take, but also the timely manner in which we work. With our just-in-time manufacturing we can have the work done in less than 24 hours and even less than 4 hours in special circumstances. 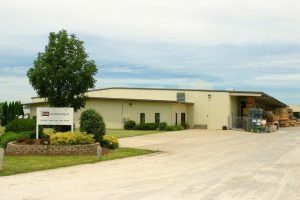 From our Coal Valley location, we serve surrounding businesses in both Illinois, Iowa and other Midwest locations. With our plant so close in proximity to your business, we can even work on site if necessary. For over 30 years FCA Packaging has been assisting businesses with their industrial shipping and packaging products. Call us today to find out how we can help your business, whether it’s a onetime project or ongoing work.